Location: Cancún, Mexico - September 2014. Thoughts? After residing in Germany for nearly 6 months I have come to realize that waking up and frolicking through the ocean on any giving morning is not exactly an option (insert the cliché saying "you don't know what you've got until it's gone" type of thing). For that I thank TBEX (travel bloggers exchange) for choosing Cancun as this years location for hosting an event in such a sunny location. Although a work trip it was nice to have the option to see the sunrise, or eat decent guacamole. 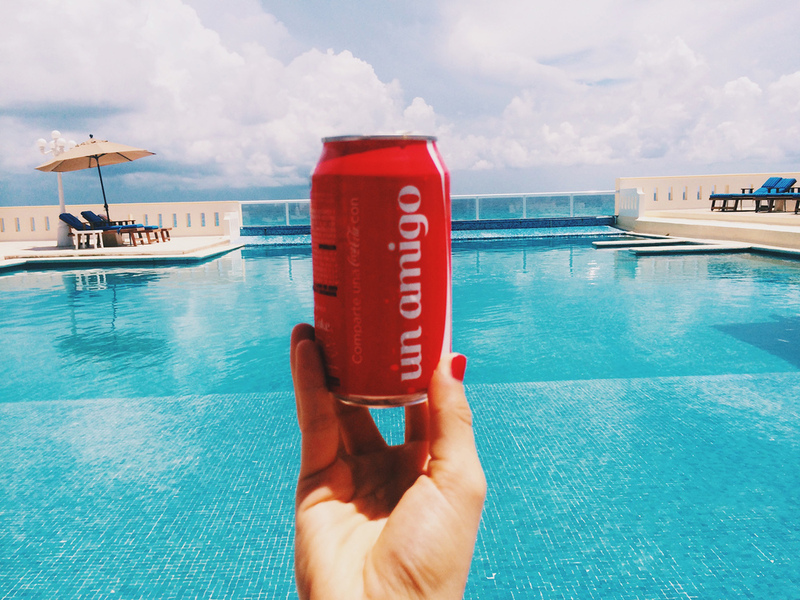 Here are some of my favorite things about my short stay in Mexico! Guacamole. It is not always readily available, nor do grocery stores make it fresh every morning - hence the phenomenon of what is Whole Foods. Hotel Casa Turquesa - Boutiquey enough for the anti-corporate, without losing the view. Picture Donatella Versace in the 80s.